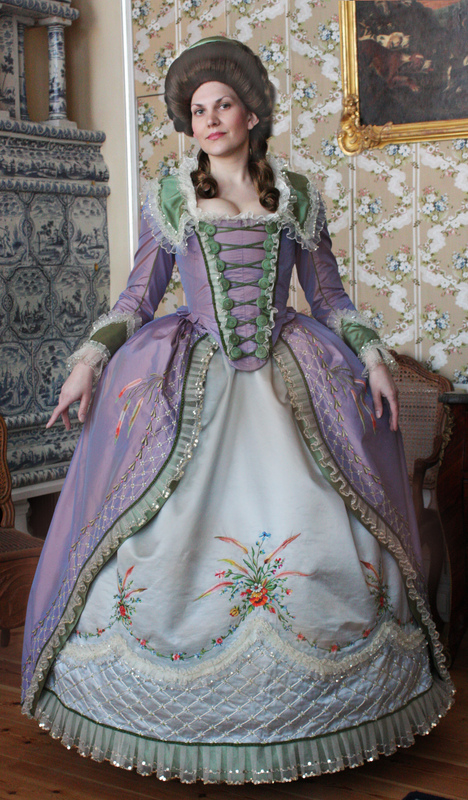 We have already mentioned about our passion for 18th century fashion! We work on creations of 18th century style costumes and accessories and we do it with love. We have created all the costumes for our performances, but thre are also two very special creations to share with you. In 2010 we started a very important project that defined as reconstruction of dress of Dorothea, the Ducheess of Courland. To be honest it was our first experience in reconstruction of specific costume from 18th century portrait. 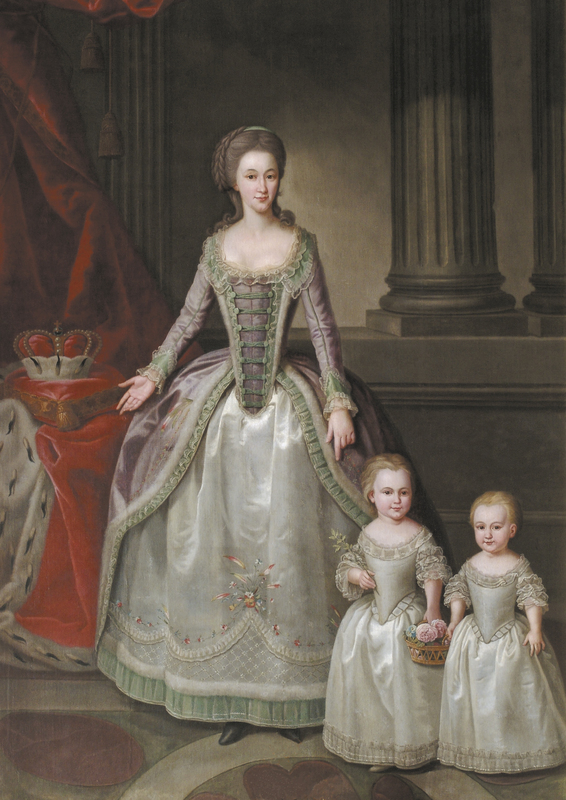 On her state portrait created by court artist F.H.Barisien around 1784 the Duchess Dorothea is wearing refined and elegant late rococo style gown with embroidery decoration. It was possible to accomplish this project with support of patron of Rundale Palace Mr. B. Teterev. 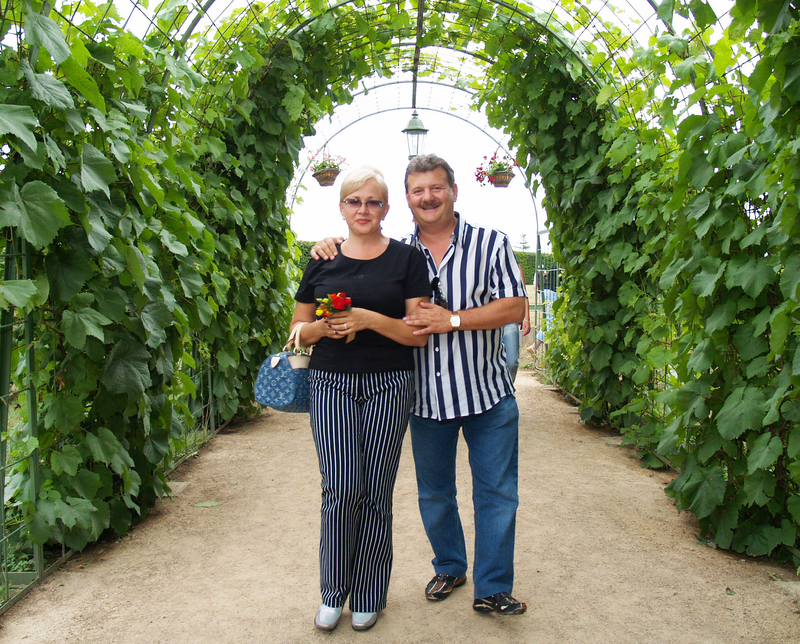 We express our deepest gratitude to Boris and Inara Teterev – patrons of culture, education and arts in Latvia. Their active support of cultural heritage might be considered as a new reborn of patronage traditions of the past centuries. 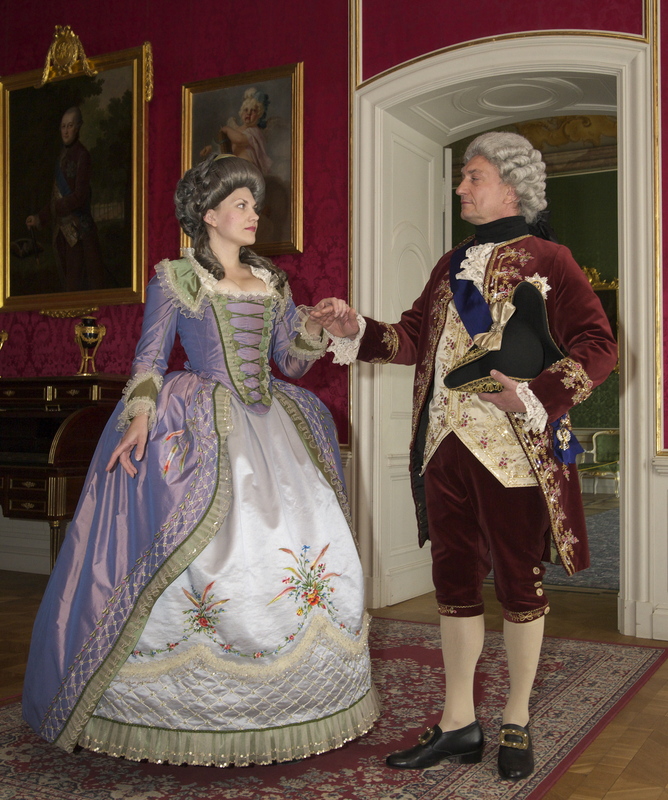 From 1997 the Teterevs have been providing financial support for restoration of Rundale palace – one of the most outstanding artistic and historic monuments of 18th century in Latvia. In 2010 the Charity fond of Boris and Inara Teterev initiated and started a donor-ship programme aimed on completion of the restoration of Rundale palace. The programme will last till 2014. Here you can find more about the process of creation of costumes. Duchess Dorothea has left significant traces in history as one of the brightest women at the age of the Enlightenment in Europe. She played an important role in social, political and cultural life. At the age of 18 she married Peter, the Duke of Courland. Dorothea was in the centre of historic events, when values of life were changing and new ideologies were born. In salons of Dorothea and her daughters important decisions, that influenced European destiny, were made. Famous politicians Alexander I, Talleyrand and others considered opinion of the Duchess. Peter Biron was eldest son of Ernst Johan Biron the Duke of Courland – favourite of Russian empress Anna Ioanovna. Descendant of the throne of Courland was anticipating a brilliant career, but after the death of Russian Empress his family spent 22 years in exile. From his early childhood Peter observed the glory and magnificent career of his father. Having been the representative of the imperial court highest nobility Peter was distressed for the tragedy, experienced by the Birons. After the legal rehabilitation from long exile Peter inherited the throne of the Duke of Courland. He considered the restitution of prestige and wealth of the Birons as his life mission. He wasn’t an excellent politician like his father, but he was gifted in economy and became famous as a financial dealer who had been issuing credits to various European rulers. Duke Peter was highly educated follower of the Enlightenment ideas as well as an art connoisseur and collector. Like many other his European contemporaries the Duke Peter supported the development of education and science. He founded Academia Petrina – the first academic school located in Jelgava, the capital of Courland. 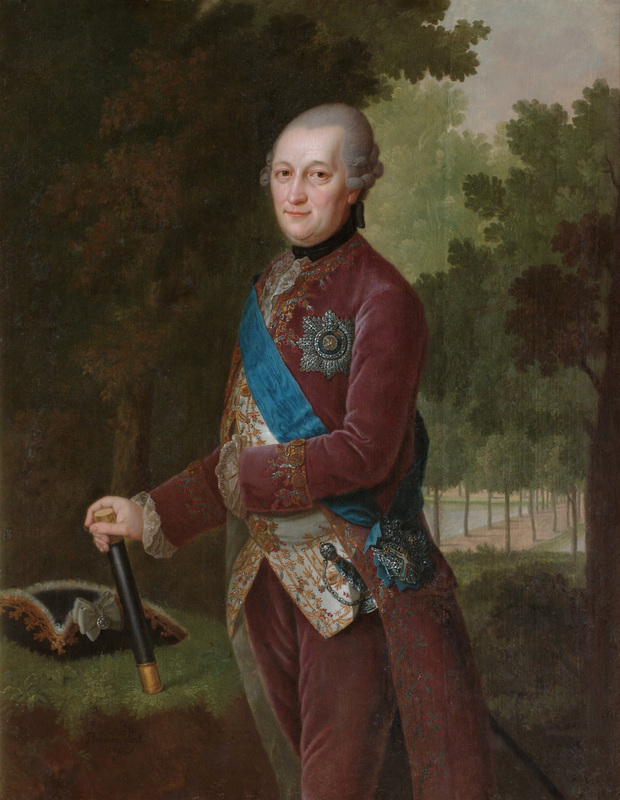 Friedrich Hartmann Barisien (1724-1796) was at the service of Peter the Duke of Courland during 1770-ies and 80-ies as a court painter. His creative work is characterized by aesthetics of early classicism with romantic nuances of the portrayed persons. The author put a lot of attention to costume details and textures of fabrics. It was really important for the process of reconstruction of costume. 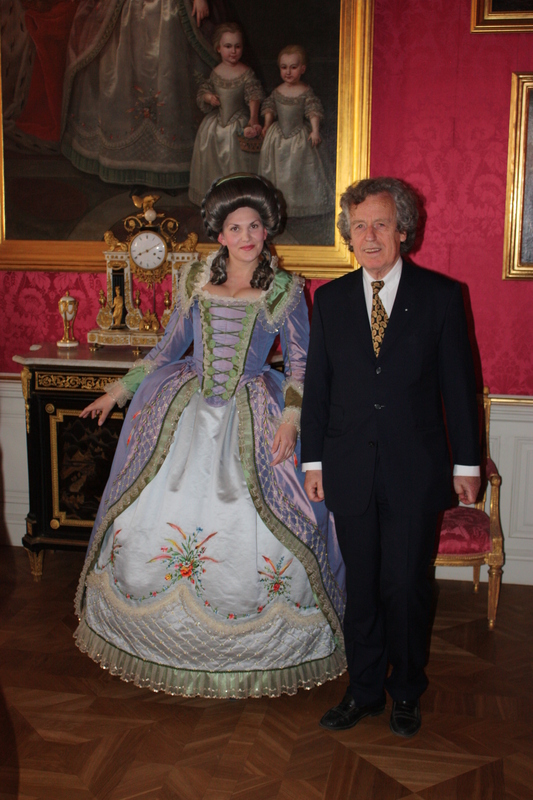 In May 2010 during the celebration of 274 anniversary of Rundale Palace the accomplished project of Duchess’ Dorothea dress was presented. It was a great honour and responsibility for both – creation of costume and its demonstration as very important guests were invited to the celebration. 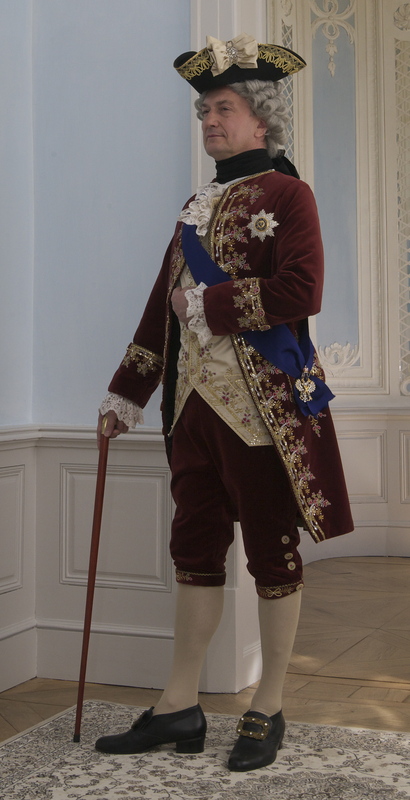 On 24th May 2011 during celebration of 275th anniversary of Rundale Plalace and Opening ceremony of Billiard Hall the costume of Duke Peter was presented. 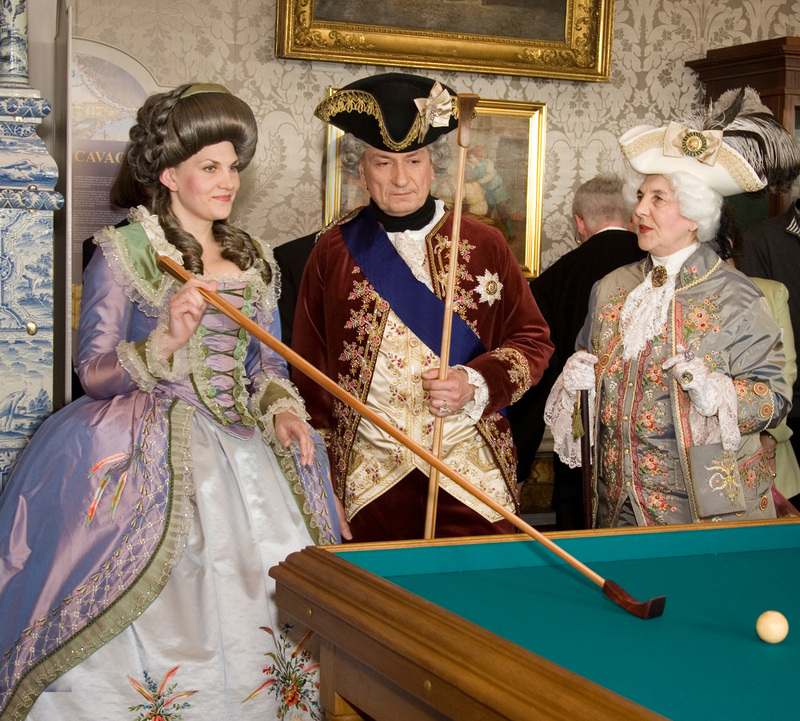 Personages representing Duke and Duchess met to play Carambol in restored Billiard Hall of the Palace.